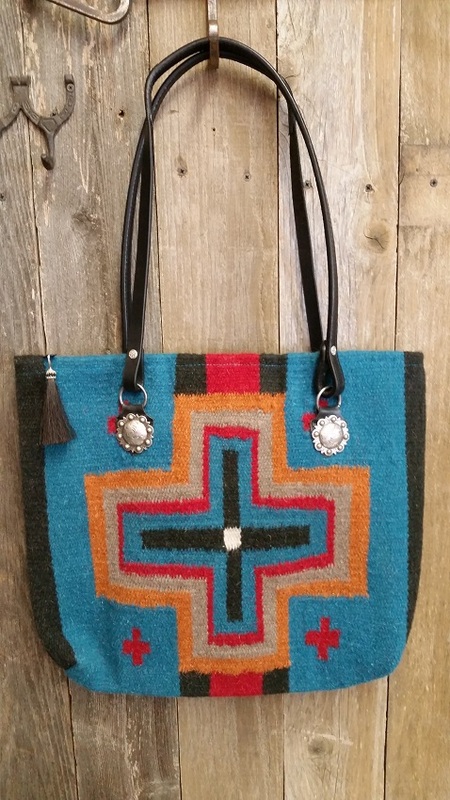 A bag made from a horse saddle blanket. 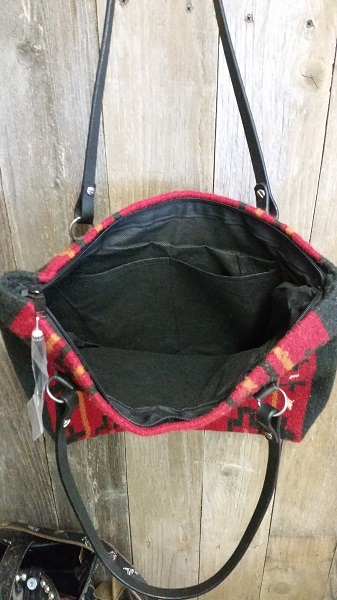 Zippered closure. Horse rein handles measure about 28". Lined with pockets on the inside. 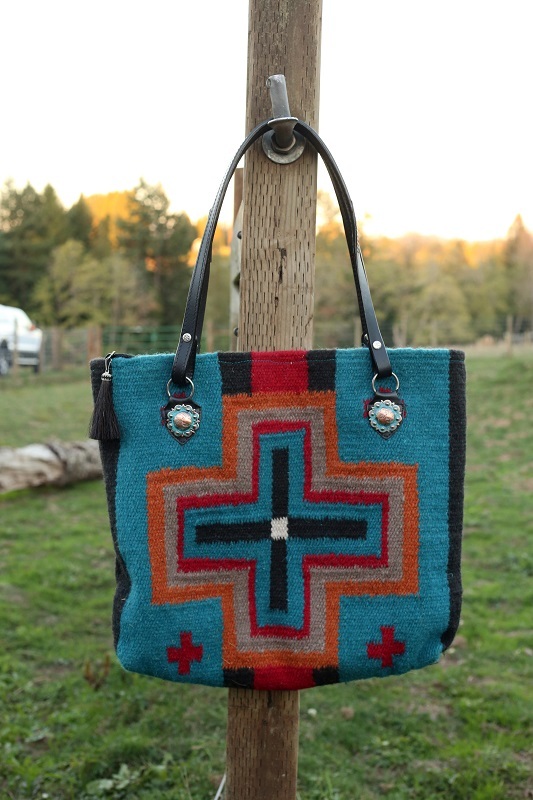 You'll love the look and durability of this bag! Great for overnight, will fit your laptop, shopping or just every day. Made of wool and acrylic. Dry clean only. 18" across, 14" high. 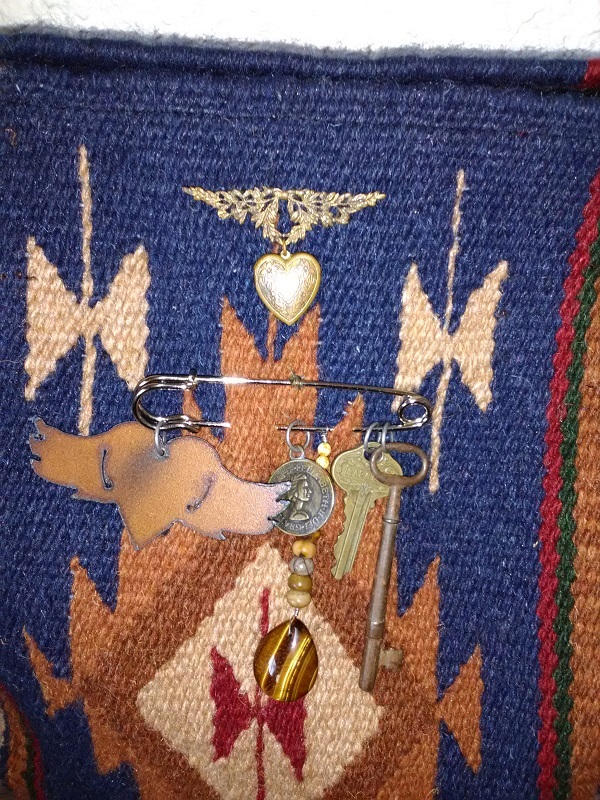 Enhanced with silver and gold conchos, horse rein handles and horse hair zipper pull. 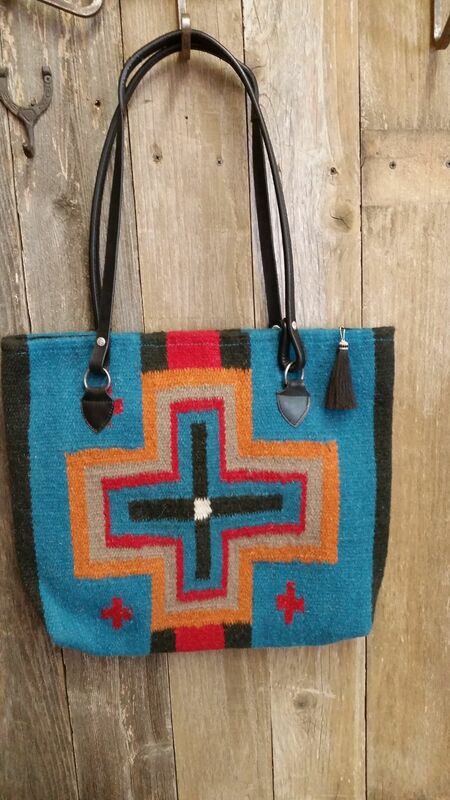 Add Trinkets and leather tassel (+$50.00) I like it the way it is.